Get off at "Karasuma Oike Station"and take the exit number"4-1"
and turn left at the convenience store called Family Mart. Turn right on the first street you will see and you will find us on you left after walking 80m. Get off the bus at “Horikawa Sanjo”, then cross the Horikawa street(the biggest one) and turn left. Walk about 100m and turn right at the coin parking(Times park). Continue forward 210m and you will find us on your right. 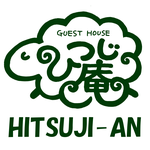 Take a train of the JR Sanin Main line and get off at "Nijo Station". Take the east exit and continue on you right and you will find an arcade street called “Sanjokai Syoutengai“. 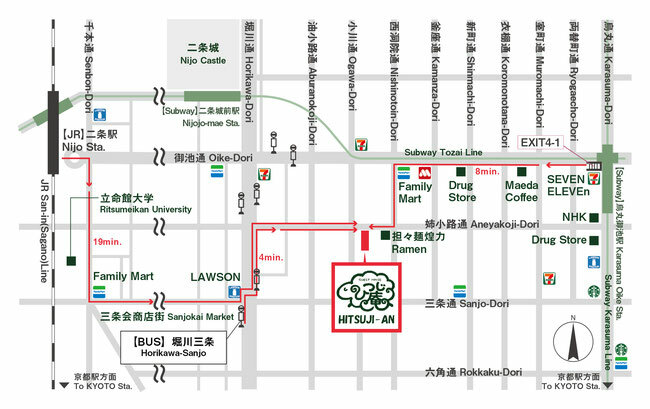 Please follow the shopping area, cross the Horikawa street in front of the "Lawson(convenience store)" and turn left. Continue for about 100m and turn right and Continue forward 210m, you will find us on your right.